Proud to introduce our latest theme called Hospital+. A theme we’ve been researching and developing for quite some time. 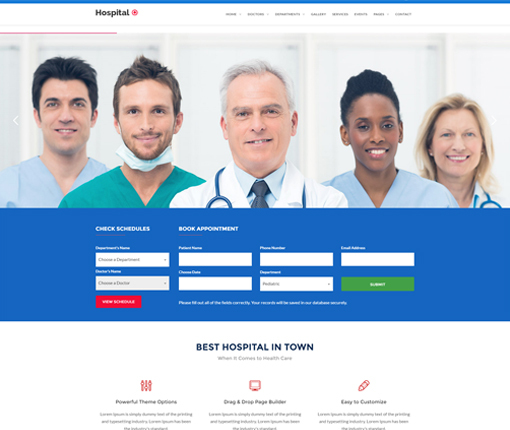 There are tons of options available in this WordPress theme including slideshow, search doctor schedules, doctor list, medical services, department, book appointment form and many more.